As Associate Director of the Center for Shelter Dogs, Seana helps set the Center’s strategic direction and priorities, including research conducted by the Center on behalf of dogs in shelters. Seana’s research focuses on improving the welfare and identification of stress of dogs in shelters, gaining a better understanding of the behavior of dogs, and supporting dogs in the home and community. She also is interested in how people’s knowledge and perception of dog behavior influences their relationships with their dogs. Seana is part of the Center for Animals and Public Policy and teaches in the Masters in Animals and Public Policy program. Her courses include Research Methods and Animal Behavior. 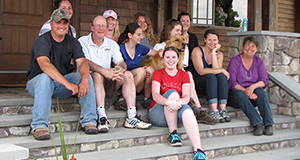 She also oversees student research related to dogs and animal behavior. 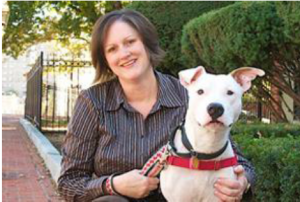 Prior to joining Cummings School, Seana served as the Executive Director for the Center for Shelter Dogs when it was a program of the Animal Rescue League of Boston. Previously, Seana worked for 14 years at hi-tech market research firm IDC where she designed, managed, and analyzed data from surveys around the world. Seana is a past President of the Board of the New England Federation of Humane Societies and is a past President of PoundHounds Inc., a Massachusetts-based non-profit organization helping the dogs in town pounds. Seana holds an MS in Clinical Psychology from the University of Alaska Anchorage and a BA in Psychology from the College of the Holy Cross.